The Barnsley Assistive Technology Team is a nationally recognised specialised service that works with other professionals in local teams to provide electronic assistive technology. This website contains information about assistive technology and the services we provide, about our team, on how to contact us (and refer), and about our research. Please use the menu to the left to navigate through our website. Our team aims to improve the independence of individuals living with disabilities through the provision of electronic assistive technologies. We work with individuals referred to our service and where appropriate provide specialised Augmentative Communication Aids and Environmental Controls. throughout the Yorkshire and Humber region. If you have a system provided by our team and have a problem with your equipment – please contact the device supplier or maintainer. Click here for contact numbers. We have a regular schedule of training and events and also publish a range of useful resources with the aim of supporting local teams. 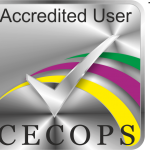 Barnsley AT Team is accredited by the Community Equipment Code of Practice. You can keep up to date with our service by subscribing to our email newsletter. You can also read and subscribe to our blog , read our newsletter archive and follow us on twitter. We also have a number of video case studies on our YouTube video channel.